When I first told R. the title of this post, he was not impressed. ‘ I take you to one of the most beautiful islands in the world and all you can think about is the lemon granita’. He had a point. But then, this is not a post aimed to tell you how out-of-this-world Capri is. It’s a place you have to experience for yourself. Yes, it is beautiful (though, I thought Anacapri centre was a little bit more charming) and, yes, it is breathtaking, but it is also very packed with tourists, just like you and me, which of course makes everything very, very expensive. And I learned from my visit that if you go to Capri it is a good idea to arm yourself with an italian. If you have one nearby (in the hall cupboard, in storage, wherever) make sure you to take them with you. 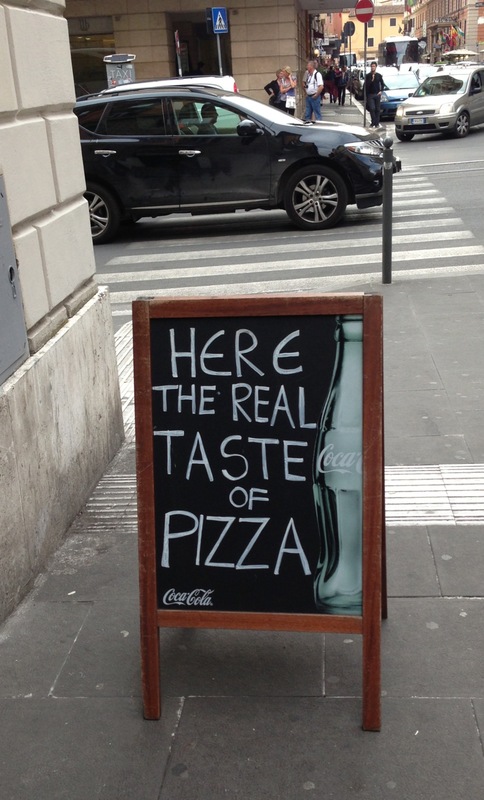 In fact, I’ve realised in the short period that I have lived in Italy, this could apply to the whole country. Seriously, not a day goes by that I do not thank my lucky stars that I have R. to do all the talking while I stand there trying not to look ‘so British’. And once again he came in handy, this time in Capri. 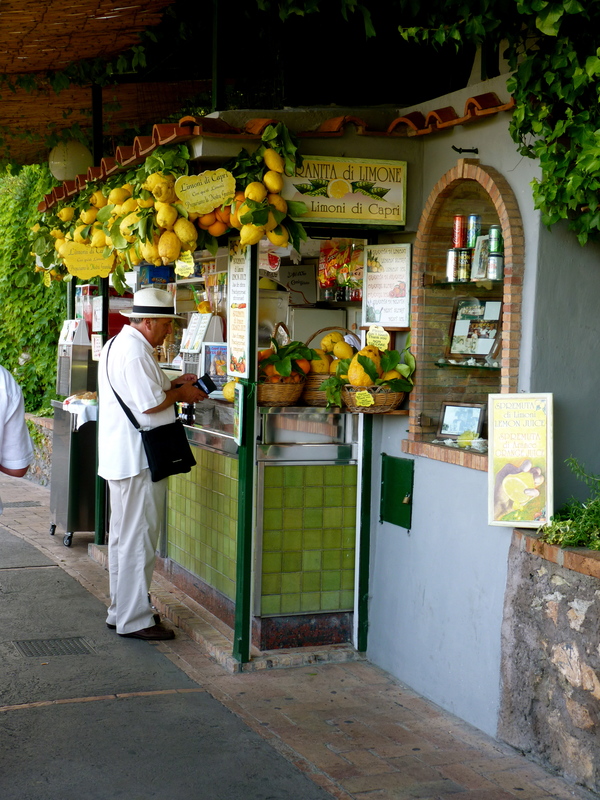 By day one, I was addicted to granita al limone. I had to have them all the time, which involves quite a bit of queueing at one of the cute little kiosks (like the one below) to ask for a cup of the lovely iced lemony stuff. There was quite a line on this particular occasion and I sussed out that about 80% were Americans, the rest, British or other. Eventually, the american couple in front of us reached the counter, they ordered 2 cups of granita and the man told them ‘that will be 11.00 euro’. And I went, WHAT!?! Keep in mind these were 330ml cups of lemon ice. I decided to dispatch R. to the front to ask (in italian) how much a cup costs. He asked and told me the man said 3 euros per cup. He asked the man, who in turn said that there were two prices.When R. probed as to why, he replied there were two sizes. 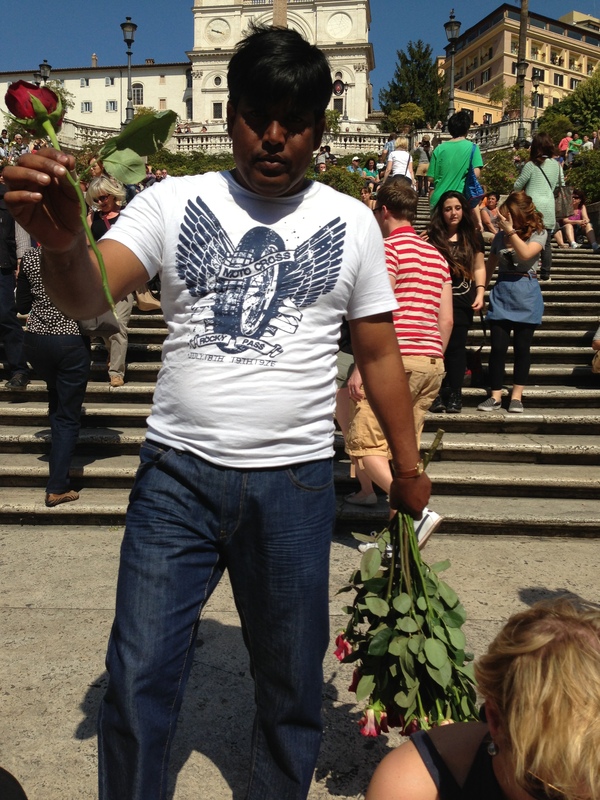 “Oh well, I will go for the 3 euro one,” I told the italian ‘gentleman’ and he handed me my granita (with that smile). I soon discovered, on comparison, that there were no ‘two sizes’. Mine was exactly same the as the americans and the British couple behind me, who didn’t flinch at the 5.50 euro price tag after seeing my little commotion. However, it did appear to be two prices – one for the tourists and one for the italians( yes, even if you’re from the North). Maybe this is the norm, considering an American on a train in Tuscany a week earlier had told me he had paid 16 euros for 2 ice-creams in central Florence. 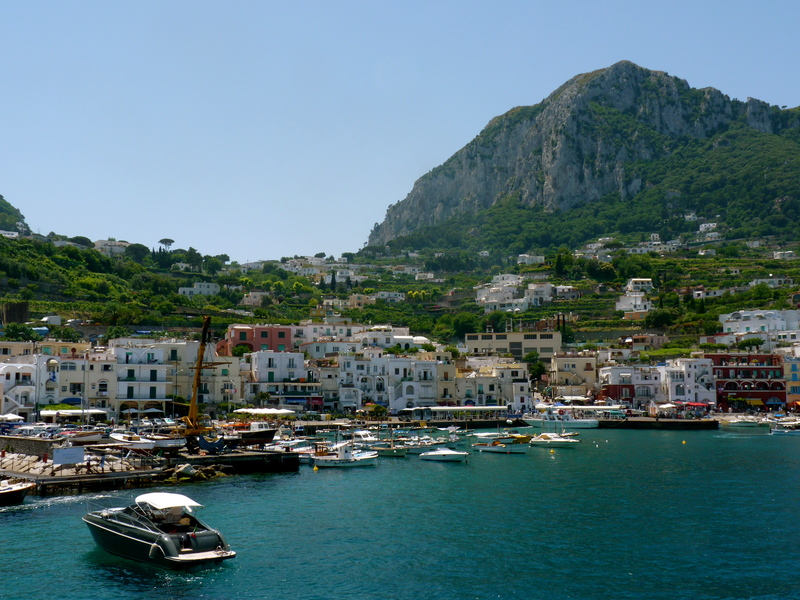 But hey, this is Capri…and you only live once, right? So, in my opinion, if you are going to do it, REALLY do it. I mean, go all out – with an event/anniversary/mid-life crisis to blame it on. But, however you decide to do it, be sure to try the lemon granita.